A person is in the hospital and asked his doctor how much time does he have left to live. The doctor did not want to lie so he told him that he wouldn't make it through the night. So the person calls for his lawyer and asks him to come and sit by his bed. 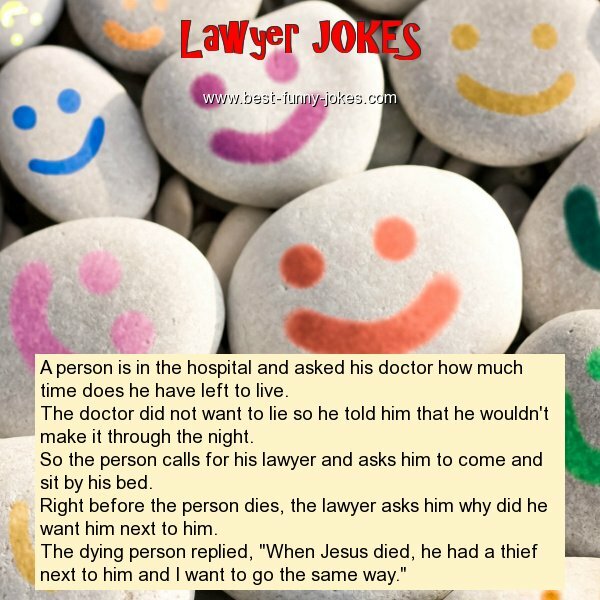 Right before the person dies, the lawyer asks him why did he want him next to him. The dying person replied, "When Jesus died, he had a thief next to him and I want to go the same way."